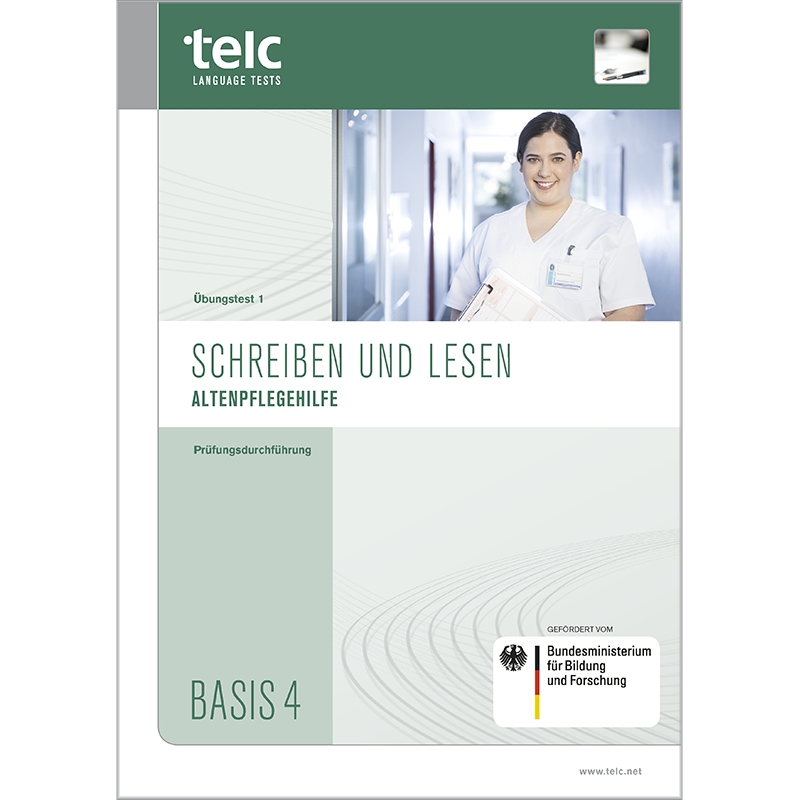 This mock examination allows you to simulate the telc Schreiben und Lesen Basis 4 Altenpflegehilfe exam under realistic test-taking conditions. It also includes information on the test procedure, the type of tasks that can be expected to appear on the real exam, and assessment criteria. In order to conduct the exam, it is necessary to purchase a copy of the student’s booklet for each one of your students (sold separately).